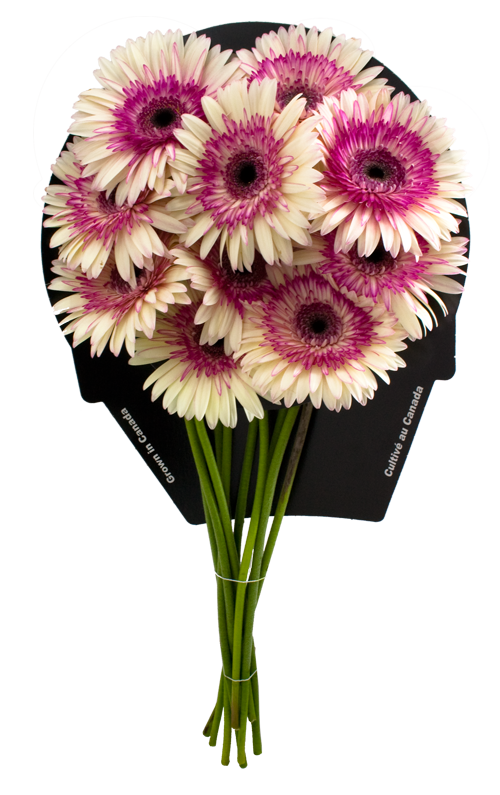 Great Gerbera - Bayview Flowers Ltd.
Our company works with breeders to acquire high quality varieties that will yield larger, vibrant blooms. We carefully select our gerbera based on straight colours so that we can deliver our Gerbera in seasonally appropriate colours. This selection process differentiates us from our competitors. We have a floral merchandising program built around these colour schemes called Colour Waves. 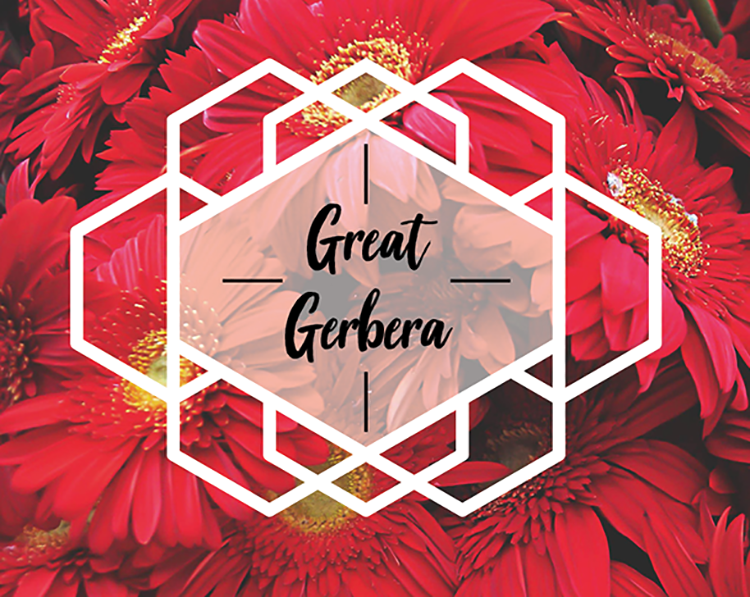 Our gerbera are developed in a controlled environment to ensure good, balanced and long lasting growth. We are in an ideal location for shipping to Canada and the US and the efficiencies of Bayview Logistics allow us to deliver fresh flowers to our customers compared to those that are imported. The result is products with a longer shelf life which means a better conversion for you. 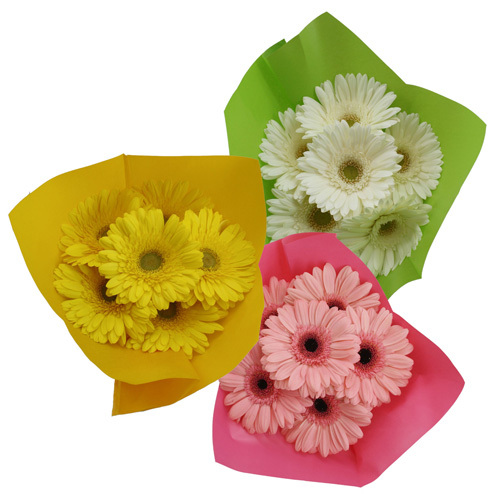 We offer unique bi-color and eye-catching gerbera varieties that keep things new and noticeable. Vibrant sheet wraps, Bayview containers, gift boxes, rackets and picks add finishing touches to our gerbera for every occasion. It's the details that make our great gerbera gift ready. From seed to sale.